Vidabs 2nd Ten Inch Vinyl Release Comes From Milan's Hiver. 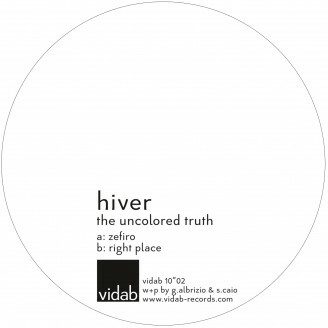 Hiver's Musical Spectrum Contains Dark And Distant Elements, Ranging From The Darkest Rhythms Of Dub-Techno To Melodic Capturing Lines. This Is A Vinyl Only Release!